Paul wrote in Hebrews that, because of Jesus, we can now come to Him by a new and living way. That’s because we used to come to God by the old and dying way. You could say that is what the Old Covenant was: A dying way. The more you came to God, the greater your chances of dying. Under the New Covenant, however, the more you come, THE MORE YOU LIVE! In ancient Israel, the high priest went into the Holy of Holies once a year on the Day of Atonement: Yom Kippur, to offer sacrifices for the whole nation of Israel. If he did everything right and it was acceptable to God, their sins would be COVERED for THE NEXT TWELVE MONTHS. That’s what “Atonement” means: Covering. If his sacrifice was acceptable, they would have bumper crops, healthy children, and favor on everything they did. But…..before he could enter the Holy of Holies, he had to properly prepare himself. It was a very serious and fearful undertaking! 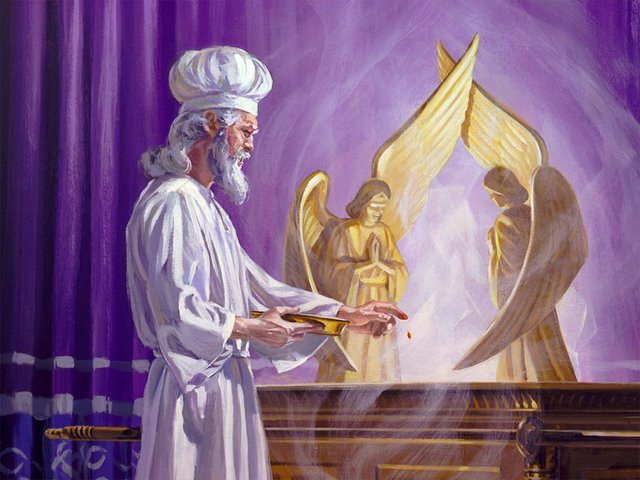 Just prior to approaching the Mercy Seat, he had to sprinkle blood BEFORE THE ARK SEVEN TIMES, then ONE TIME ON TOP OF THE ARK, between the Cherubim. No doubt he entered the Holy of Holies with not a little fear and trepidation! Rabbinical tradition says that they actually tied a cord around one of the ankles of the high priest lest his sacrifice be unacceptable and he dropped dead. You see, they couldn’t go inside and get him. If he died, they would have to pull him out! Imagine what the next guy in line was thinking. He was probably terrified! Why did he sprinkle blood SEVEN TIMES before the ark? In chapter 1 of the oldest book of the Bible, Job, it is recorded that the devil used to come and present himself before God along with the good angels. But he is pure evil. How could he allowed to be in heaven, in the presence of a Holy God, in the first place? Because when Adam sinned, he in effect handed the “keys,” i.e. dominion over the earth, over to the devil, in effect. That place before the Ark, which represents the throne of God, was had been Adam’s place. When he committed high treason, and gave God up for a piece of fruit, he forfeited it to the devil. That’s why, by default, satan was able to come before God and complain about Job. He got Adam’s place when the fall happened. But HALLELUJAH, He’s outta there because Jesus bought back our forfeited inheritance! 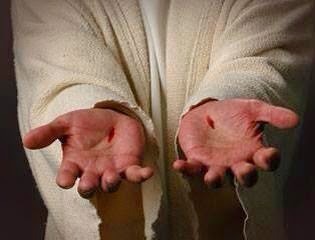 He sprinkled His blood of His PERFECT SACRIFICE and cleansed that soiled spot. He has become our Mercy Seat and sits forever on the Throne of God, the heavenly Ark. The devil cannot come before God anymore and accuse you and I! Now, we don’t have anything to fear because of the cross of Christ. That’s why we can come boldly before God’s throne. But the blood of Jesus has not merely COVERED our sins for one year: Ours are forgiven and COMPLETELY CLEANSED, once and for all, from the beginning of your life to the very end; yes, even those you have not committed. Past, Present, AND Future Sins Cleansed. “How can we be forgiven of sins we have not yet committed?” you ask. When Jesus died, ALL YOUR SINS WERE FUTURE. Does that mean you are perfect? No. Do you still sin? Yes. Are you “covered (atoned for)?” Yes. You are no longer a sinner saved by grace; your are a son and the righteousness of God IN CHRIST. You no longer walk in sin. Because of your flesh, you occasionally fall and commit sin, but Jesus is your covering as you walk through life. Your spirit is forever purified by Jesus’ blood. He did a complete work. AMEN. When Jesus died, our Father couldn’t rip that temple veil from top to bottom fast enough! 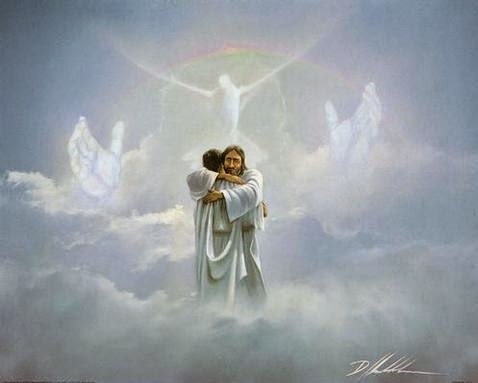 Now, because all His righteous judgment for sin and lawlessness was exhausted on jesus, there is therefore now no more separation between us and God! HALLELUJAH! The Dangers Of Mixing Law And Grace. Under the Old Covenant, the more often you came to God, the greater your chances of dying. This is why mixing Law and Grace is so deadly. It kills people slowly by keeping them under condemnation. What does it mean to mix law and grace? It is teaching that we are saved by grace but must please God by our performance. 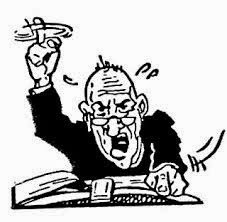 Believe it or not, such preachers do not have the proper respect for the law. They tell you to do your best and if you fail…..and of course you will…..you just go to God and ask Him to forgive you. But here’s the problem, Church: IT DOESN’T WORK THAT WAY. 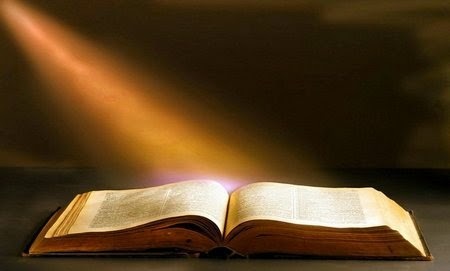 If you want to please God by your performance you must obey ALL HIS COMMANDMENTS ALL THE TIME IN THOUGHT, WORD AND DEED. NO half way, NO do-your-best-I’ll-forgive-the-rest deal. Uh, uh. It’s all…..OR NOTHING. Now do you understand why we need a Savior? NOBODY CAN DO THAT. The only One Who could…..AND DID…..was Jesus, and He credits us with His prefect law keeping the very first nano second we are born again! It is good for all eternity! The New Covenant is Jesus plus NOTHING. Under the New Covenant, we come to Jesus in a new and living way: THE MORE WE COME THE MORE WE LIVE! You don’t anymore confess your sins to God in order to be forgiven: You confess them to Him BECAUSE YOU ALREADY ARE. The saddest thing in the body of Christ today is a lack of understanding of how completely clean the blood of Jesus has cleansed us. You hear people saying things like, “You must do this, you must do that,” in order to be pleasing to God. Church, RIGHTEOUSNESS IS A GIFT; not an action you perform. Make up your mind! Did Jesus forgive all your sins or not? ALL MEANS ALL. Do we have EVERLASTING RIGHTEOUSNESS or not? You can’t have it both ways. Either we are saved by grace through faith in Jesus Christ…..OR…..We are made righteous by our works. If our righteousness is eternal, can we lose it? Kind of a DUMB QUESTION, don’t you think? If you can do something to lose it then IT’S NOT ETERNAL. That would mean that what the first Adam did was greater than what the second Adam, Jesus, did! AS IF!!! You see, your spirit is eternal. Why? 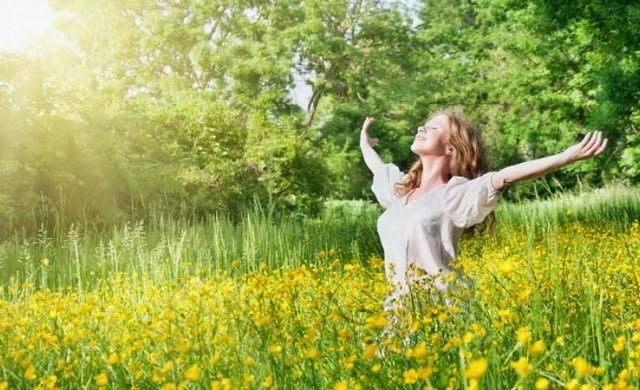 Because it is God’s very breath. That’s why you will continue on somewhere, in either eternal life or eternal death in hell. When God created Adam, he was like a lifeless manaquin until God breathed His very own eternal spirit into Him. But when man fell in the garden, HE DIED SPIRITUALLY. Your spirit, just like Adam’s is eternal, too. It will continue on. What many don’t understand is that we are all born the same way: Spiritually dead. Accepting Jesus Christ as your Savior and Lord RESURRECTS YOUR SPIRIT. Then and only then can you will live forever with Him. If that doesn’t happen, if you don’t become a resurrected spirit, it will continue on after your physical body dies in a place where there is weeping and gnashing of teeth, where the worm never dies and the fire is never quenched. That is eternal death. This does not apply to little children, however. Though your precious little baby is born this way, for anyone who’s lost a child, they go directly back to Jesus! Their sin nature is not counted against them because they are not of an age where they can understand these things and make a choice. In the Old Testament, forgiveness was by offering the blood of bulls and goats. It was TEMPORARY. It had to be repeated every year. New Testament forgiveness is by the precious blood of Jesus applied ONLY ONE TIME; once for all time. His blood gives us an EVERLASTING RIGHTEOUSNESS. YOU CANNOT LOSE IT. You are complete in Christ, as the scriptures say, the instant you are born again. 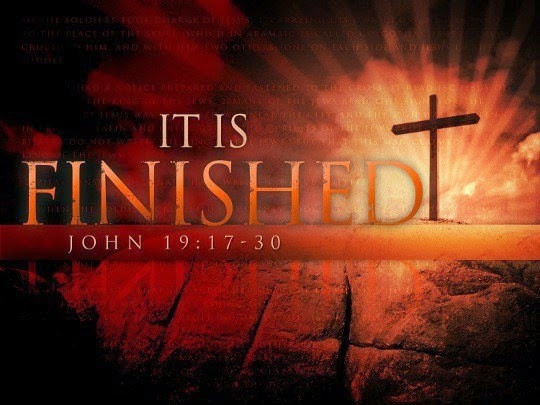 Why are you trying to get to the finish line as if Jesus did not finish the work? Either He finished the work or He didn’t. Another area of confusion is of spiritual growth. Yes, we grow, but it’s in the area of knowing how complete your completeness is, how forgiven you are, how you are completely righteous in God’s eyes by the blood of Jesus. The brand newest believer is as complete in Christ as the most seasoned Christian from day one. Here is the issue with all of this “thinking” that Jesus did not finish the work; that somehow there is something left for us to “DO.” In essence, we are saying that there is something we must “ADD” to the work of Jesus. BIG TROUBLE. According to the book of Revelation, ANYONE WHO ADDS TO THIS BOOK GOD WILL ADD TO THEM ALL THE PLAGUES WRITTEN IN THIS BOOK. YIKES! It’s like saying “Glory to Jesus…. and me.” Trying to ADD your works, your performance to His finished work is self righteousness in its purest form. I reiterate: THIS DOES NOT MEAN YOU WILL LOSE YOUR SALVATION. It simply means your physical body will suffer ill health, even death. The rest of us will just see you in heaven when we get there. Remember the strong angel In Revelation that John saw? He had one foot on land, one foot on the sea, symbolizing dominion over land and sea. There was a rainbow around his head. 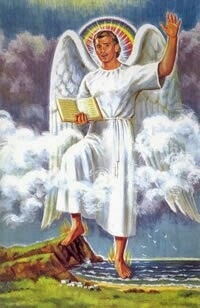 This giant angel is a picture of the end time Church. Many of those left behind after we are raptured will be saved, though life for them will be terrible. But the Gospel message will nevertheless go forth, spearheaded by 144,000 Jewish evangelists! This giant angel is a messenger. The end time Church will have a rainbow around her signifying she has a no condemnation mentality; no more judgement…and she will reach out to the whole world with this message! This body of Christ will have a NEW COVENANT MENTALITY not like that of the old Levitical priesthood. Today, the devil goes around spewing out “water like a flood;” a flood of words from his mouth that is, here and there. But God raises a standard; rainbow around us, a symbol of no more judgment…..and the flood waters are turned aside! Unfortunately, though he has been bound, he isn’t gagged and he has a big mouth. Taking Away Words Of This Book. On the other hand, anyone who TAKES AWAY from the words of this book–like denying the deity of Christ, teaching that everyone is automatically saved or that healing isn’t for today to name a few–God will TAKE AWAY his part in the tree of life. Once again, NO; this does NOT mean you can lose your salvation. What, or should I sat, Who, is the tree of life? Jesus! This “tree” is for the healing of the nation’s which cannot possibly refer to either heaven or Jesus’ millenial rule. Why would we need healing then? Where Jesus is in charge, THERE IS NO NEED FOR HEALING: NO ONE WILL BE SICK! But here in this present age we definitely do have sickness. We do need healing. We get that by access to the Tree of Life: JESUS. If you are taught that healing isn’t for today or you don’t believe Jesus is God, He cannot be healing to you. Again, it doesn’t mean you’ll lose your salvation if you’re a believer; just your health. But health is pretty essential to living a good, productive, long life. So Church, let’s just believe what the scriptures say: That we are saved by grace through faith. That it is a gift of God, not of works lest any man should boast. That every gift of the Spirit is for us TODAY. And let’s be careful not to either ADD or TAKE AWAY from the words of this book so that we can come to God by a New and Living Way!